Just to be up-front, I am a bit of a Barb Emodi fan-girl. I actually think Barb and I are kind of like two halves of the same person. We both have been sewing since right after the dawn of time, have children + grand-children, love to sew, and maybe most importantly, love to experiment with fabrics and sewing tools, and products. I climb up on my soapbox about lots of stuff in today’s world, and one of them is I think there is a great shortage of tinkering with real, tangible things that make you mutter, “Huh. That is how it works.” Experimentation is a great teacher, and I think loads of people could benefit from a bit more of it. But enough digression. 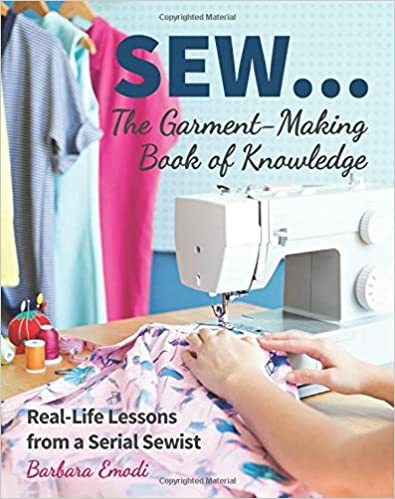 The real thing I want to say is I LOVE Barb’s new book, Sew…The Garment-Making Book of Knowledge. I have actually said many of the same things she writes to my students. Sometimes.Using.The.Exact.Same.Words. See why I think we are two halves of the same person? 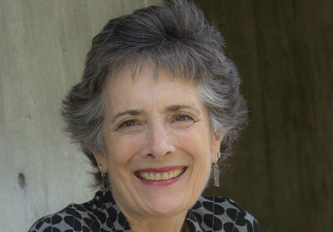 Her book is both very enjoyable to read and filled with plenty of tips and advice about the nuts and bolts of sewing. Not exactly a technique or how-to-sew instructional guide, you still will definitely learn a trick or two about the process of sewing clothing (no quilting here, thank you very much!). 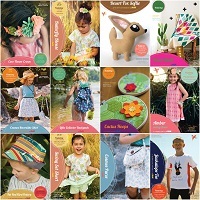 Or maybe you will get inspired to start sewing again, or possibly sew in a different way. And all of those are great things, IMHO. YES! That is a great summary of why I sew. Why I am active in The American Sewing Guild. In Facebook sewing groups. Obsess over fabrics, tools, and products for sewing. Because sewing is one of the most important structures of my life, and it definitely gives me more than clothes to wear. Thank you, Barb! I laughed out loud while reading this book. Plus it brought back many memories of sewing with my mom when I was very young, as well as reminding me of recent sewing adventures with my students. Do yourself a favor. Pour a beverage of your choice, and curl up with Sew…The Garment-Making Book of Knowledge. 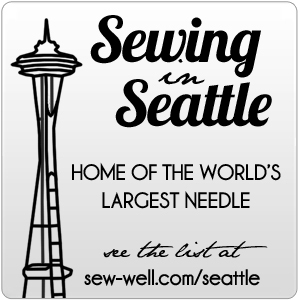 ← What is the right sewing machine for you?